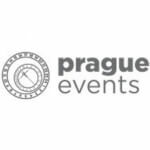 Prague Events has over 15 years of MICE experience as the only point of contact needed for all of your event requirements in Central Europe. We are a one-stop shop for detail-oriented, custom event experiences, taking care of everything from venues to A/V requirements, photographers to entertainment – all while working seamlessly behind the scenes so that you can fully enjoy your event, stress-free. What sets Prague Events apart from other MICE providers? • We act coherently as a team, so much so that our Managing Director is always a part of event planning and execution. • As an experienced company, we have been able to forge excellent relationships with many trusted vendors; so we know exactly what we are getting from experience, which we can then pass on to our customers. • We pride ourselves on being able to think outside the box to come up with creative new ways to make our clients’ vision a reality. Dream big and we will make it happen! Check out our web Gallery for photos of past events, and our Testimonials from past clients. We are looking forward to making your next event a Prague Event!